The Deputy Recorder of Belfast and the Principal Family Judge Her Honour Judge Corinne Philpott QC (62) passed away in the early hours of this morning. 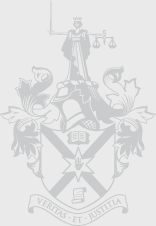 Born in March 1954, Judge Philpott was educated at Richmond Lodge School and Queen’s University, Belfast. 1996 to 1998 Board Member of Northern Ireland Co-Ownership Association. Judge Philpott took Silk in December 1993. She was a Deputy County Court Judge from 1993 to 1998, when, in April 1998, she was appointed a County Court Judge. Judge Philpott was Recorder of Londonderry from March 2002 until January 2008. In 2012 she became Deputy Recorder of Belfast. Judge Philpott will be very sadly missed by her judicial colleagues.